As with previous Battlefield, Battlefield: Hardline players can get a Premium membership which wil grant them access some features and early access to all expansion packs. Details inside along with some dev diaries. REDWOOD CITY, Calif.--(BUSINESS WIRE)--Visceral Games™, an Electronic Arts Inc. (NASDAQ:EA) studio, today announced Battlefield™ Hardline Premium*, an exclusive membership program delivering new content and early access to Battlefield Hardline fans to fuel their cops and criminals fantasies all year long. Battlefield Hardline Premium members will enjoy four new super features – Masks, Gun Bench, Competitive Play, and Legendary Status – as well as two weeks early access to four story-themed digital expansion packs. In addition, members will receive monthly rewards and access to exclusive in-game events and items that ensure players execute heists and roll into high-speed chases in style. Battlefield Hardline brings new innovations in strategy, speed and story in both single player and multiplayer to deliver a complete first person shooter experience. The game delivers a fresh and stylish new entry to the critically-acclaimed Battlefield franchise as players take to the gritty streets of Los Angeles and Miami in a crime-fueled showdown between cops and criminals. A new class of weapons, vehicles, and gadgets pushes players to approach the gameplay in entirely new ways. Ziplines, loot-laden getaway motorcycles, nimble police choppers, and muscle cars ensure players get to navigate the concrete jungle in fast, team-based Battlefield multiplayer. 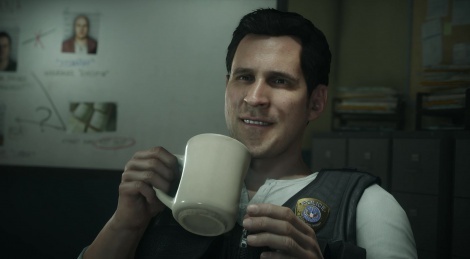 Players can also tune into a TV inspired episodic single player campaign that follows rookie Miami Police Detective, Nick Mendoza, through a story of crime and revenge. This is brought to life through veteran and up and coming Hollywood talent including Alexandra Daddario from True Detective, Wendy Calhoun from Justified, and Benito Martinez from The Shield. 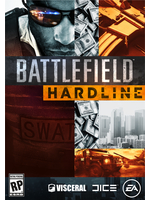 Battlefield Hardline will be available March 17, 2015 in North America and March 20, 2015 in Europe on Origin™ for PC, Xbox One, all-in-one games and entertainment system from Microsoft and PlayStation®4 computer entertainment system. The game will also be available on Xbox 360® videogame and entertainment system from Microsoft and PlayStation®3 computer entertainment system. Now that's a s**t eating grin! "Priority position in server queues"
i might rent this game for the single player and dabble in the MP, but really the beta turned me off to this game in so many ways.